I will only ever partner with companies I believe in and trust! So as of recently, I have become one of Beauty Factory South Africas brand ambassadors. 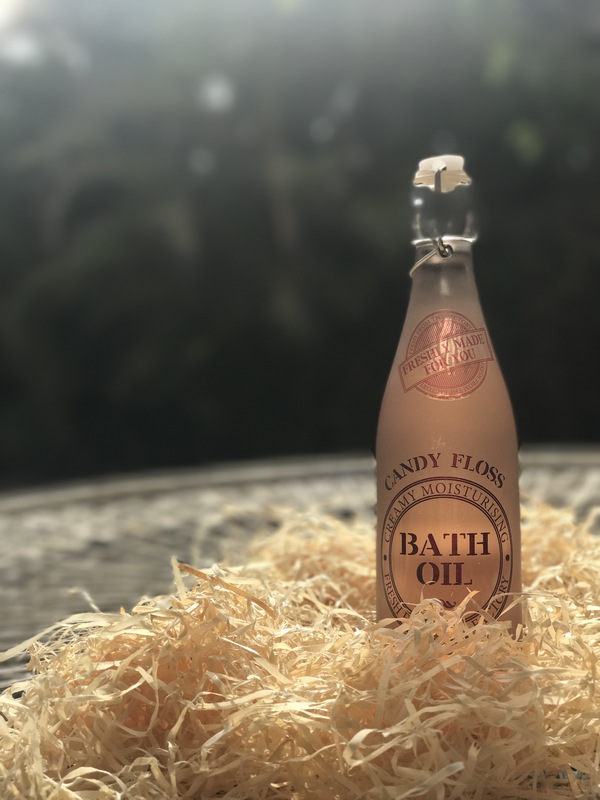 I will be working with BF for the next three months, demoing and reviewing the amazing bath and body products they have to offer. BF was founded in August 2010. They believe in bringing quality bath and body products from their factory to your bathroom. BF is a local South African company that has stores all over the country. If you stay in Port Elizabeth, you can purchase BF products from the Edgars in Walmer Park Mall.I love supporting local beauty businesses as I feel the beauty industry is without a doubt growing and I keep seeing more and more SA beauty brands launching. After a long week of staring at my computer screen, now and again I like to spoil myself to a much earned pamper evening! That is if Reece doesn’t gate crash on my plans. This slumber party for one typically happens on a Friday night. I get home, kick my shoes off, take my makeup off, tie my hair up and make a pot of tea. YouTube is my drug of choice when it comes to getting my mind off of the week’s problems. After YouTubing for about an hour comes my favorite part of the pamper evening, BATH TIME! Before I head to the bathroom I grab the products that speak to my soul for that day. 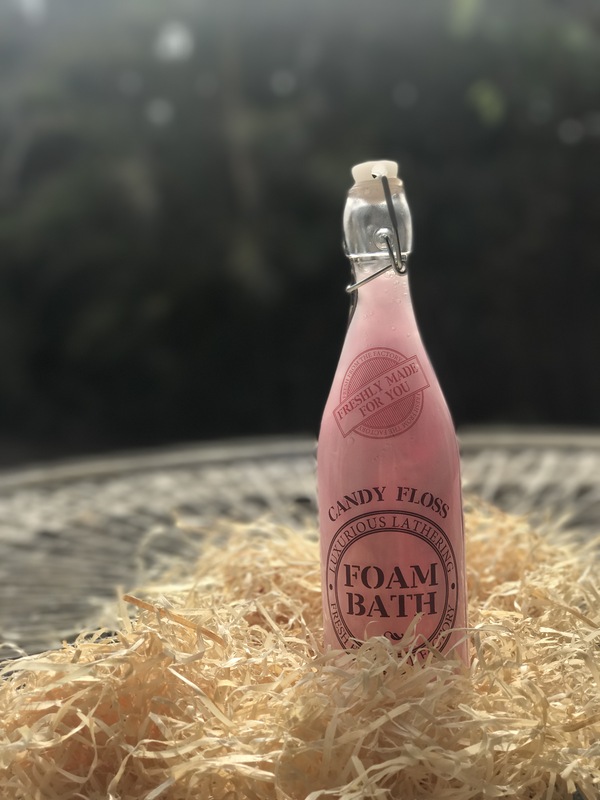 As of lately, I have been enjoying the Beauty Factory’s Candy Floss range that they sent me. 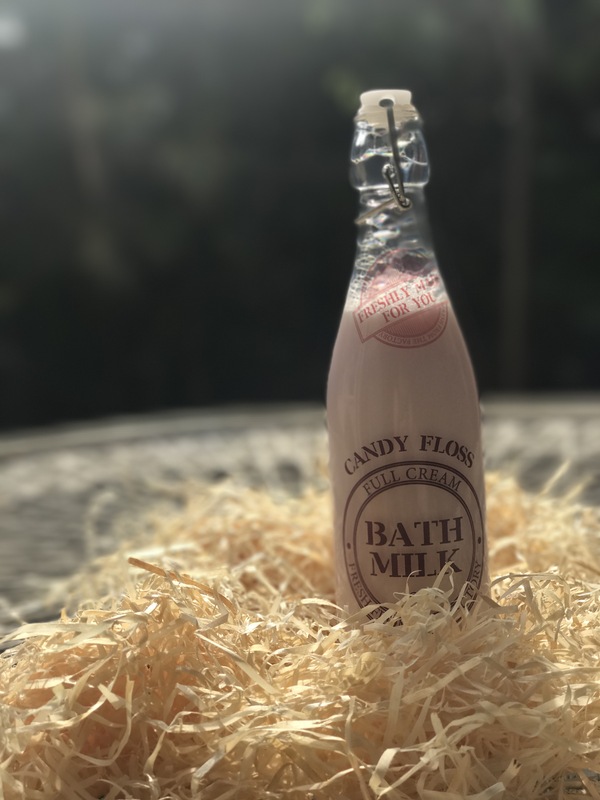 The smell of these bath products is so damn delicious! It screams candy store. There are five delicious products in this range. I don’t usually wash my hair on my pamper evenings, simply because I am a firm believer in that saying that you should try not wash your hair often as you wash all the natural oils that are beneficial to your hair. 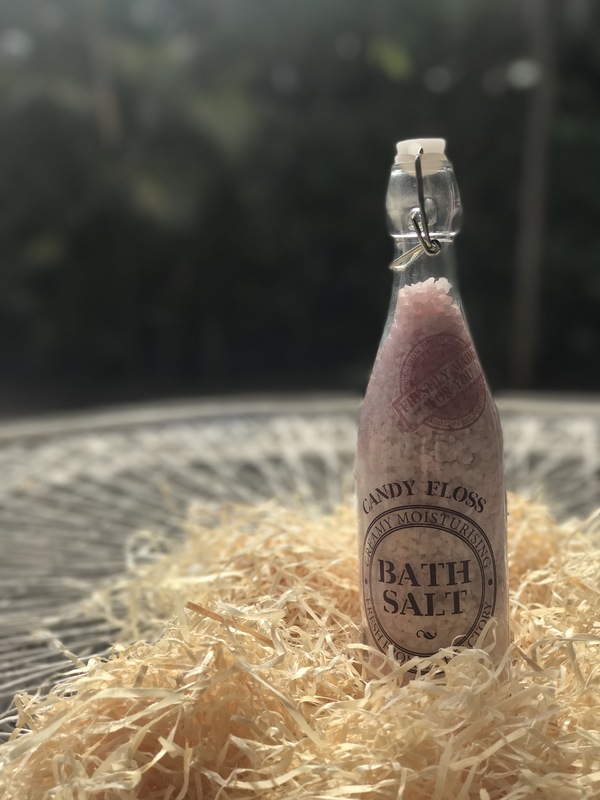 So after I finish relaxing and enjoying the aromas of these bath soaks (I like to call these sorts of products bath soaks), I hop into my comfy pajamas and watch more…… you guessed it, YOUTUBE! At this time of the evening, I pay my feet some attention. Using a foot file, I gently file away any dry skin. I am always trying new ways on how to keep my feel moisturized to make the dead skin removal process fast and painless. I typically go for a rich nourishing body butter to lather on my feet and cover them with fuzzy socks. Just like every other night, I like ending the chilled evening off with a good social media session, checking my Facebook and Instagram for a good hour or so. I can not wait to review these Beauty Factory bath soaks for you all next week! Subscribe to my blog to receive an email everytime I post a new review.